I thought about how I should wrap up cocktail month here on Kettler Cuisine and then it hit me, end the month like you end a meal...with dessert! For the final installment of Cocktail Month, I present the Vodka Root Beer Float! It's a nightcap and dessert in one! The Hubby and I have thoroughly enjoyed ourselves in the kitchen experimenting with different cocktails this month. But even more, we have enjoyed all the great comments and praise from our followers and friends! Thank you for all the comments and pictures sent!! For best results, start with all cold ingredients. We like to chill our glasses in the freezer for about 30 minutes before making. 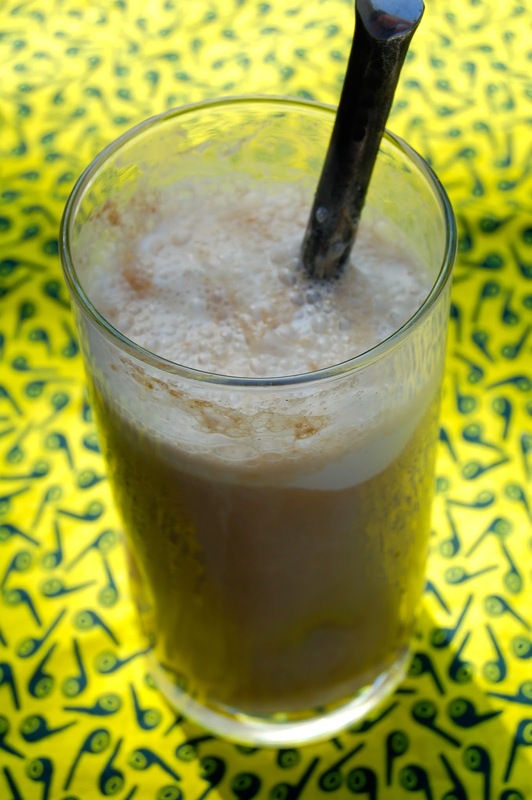 There are two ways to make a root beer float, either start with the ice cream or start with the root beer. We like to start with the vodka and fill the glass 2/3 full with root beer (leaving room for ice cream), then add the ice cream scoops on top, it bubbles up and starts to blend together pretty quickly! The result is a boozy, delicious, creamy dessert beverage.